We are grateful to the many happy clients of Renu Laser & Skin Care who have shared their experiences about our skin care and laser hair removal services. We are thrilled to be known as the best MediSpa in Littleton. Both Abby and Taylor were very concerned about my personal care and the best products to use to get the results I desire. I almost fell asleep in Taylor's chair :) My skin looks radiant and tone is beautiful thanks to your numerous contributions! Abby called about my Botox injections and I have no concerns this time. Not even a bruise. I think Chelley's suggestion of the red LED lamp may be the answer to my sensitive skin. You have an excellent staff plain and simple. They are courteous, intelligent and technically well trained. I know as a business owner, that's a hard thing to achieve. I hope you enjoy the Holidays. See you soon!" Just a quick note to say that Abby did an amazing job on my botox when I was in! Thank you Abby!!" "Chelle - AKA Michelle - is the absolute best! Super professional and results are fantastic!" Awesome! From the moment I walk in, you make me feel not only comfortable but genuinely welcome. Your skills and professionalism are second to none except perhaps for your warm and genuine personality. Thank you for making me beautiful and for waking me if I fall asleep due to extreme relaxation! It's hard to get up and off of your table after one of your wonderful hydrofacials. But I do, so I'll just keep coming back. Thank you!" I've been coming here for many years but I never get tired of writing and saying THANK YOU! Thank to the incomparable and thorough facials. I really do not look my age - no, I'm not going to give that! Now, with your photo (IPL) and chemical application, all traces of my years in the sun are gone. You're my best kept secret! But, I tell everyone I know about you and Renu - because you're the best!" Your patience, personal attention and professionalism go beyond any business (any type) I've ever patronized. Thank you for going out of your way to ensure I got all my "BD" points and credits that contributed greatly to making my treatment ever more affordable. In Addtion to Lynn's great prices. You Are APPRECITAED!" My dermatologist has commented 2 different times on how great my skin looks. One of these times was after Botox, Juvederm and Voluma from Abby. "Jo Ann, Today was the best hyrdafacial I have ever had! My skin looks and feels like silk. I'll definitely be back. Thank you for the amazing skin care tips as well." "Lainie, Thank you for making my first hyfrafacial a relaxing, positive experience! My skin hasn't looked this smooth and clear and, well, BEAUTIFUL, in.......I can't remember the last time it looked so awesome! you REALLY know your stuff girl! Thank you!! I'll be back....often!" "Abby, You're amazing! Your patience, your skill....... please don't EVER go away!" "I think the ladies are outstanding and very hot!!!" "Abby, I come in looking my worst and leave looking simply maahvahlus darling! You are, THE BOMB!" "Thank you Shelly! One of my favorite things about coming to Renu is walking in. I know I can ALWAYS expect a warm, welcoming smile, a greeting befitting a princess and an unparalleled degree of professionalism and u undivided attention. Shelly is the beautiful 'face' of Renu and exemplifies the warmth, superior services, knowledge, skills and consummate professionalism that is synonymous with Renu Laser & Skin Care. Everyone at Renu is awesome but you'll not find a more exemplary ambassador for all that Renu stand for, than Shelly. A heartfelt 'thank you' for contributing so enormously to the incomparable experience that is Renu. Shelly, you ROCK girl!" "The BEST medical spa in Denver! Renu is the best medical spa I've been to and now the only place I will go moving forward! Their location is very luxurious and relaxing! The staff is so friendly and knowledgeable, and Lynn and her staff make you feel comfortable with whatever treatment you choose. In the past at other medical spas, I feel like you're just another patient that day. At Renu, you truly feel valued as a client and part of their beautiful family. All their equipment is top of the line, so you are guaranteed the very best results at a great price. I had a few issues my dermatologist wasn't helping with after multiple visits, but to Lynn and her team, it was an easy fix and my skin has never looked better! They are truly the best at what they do, and I'm so thankful to Lynn and the staff at Renu because my skin looks amazing! Take comfort in knowing Lynn and her staff will always keep you looking and feeling your best!" "I've had several treatments at Renu and they are truly the BEST! My skin not only feels good when I leave, the difference remains and is noticeable. The staff are truly professionals and perfectionists - what more can you ask for?!" "Absolutely amazing! The customer service at this place is spectacular! It is very difficult for me to find time for myself and I can only do it on Saturdays really. The owner Lynn came in on her day off to accommodate my schedule. She explained everything in a great detail and answered all my questions. I purchased a laser hair removal package and will be buying more services in the future. The procedure was not too painful at all and Lynn made me feel at ease. After only one treatment I already see a dramatic difference! I now only shave once every 2 weeks when before the treatment I had to shave every couple of days." "The BEST medical spa in Denver! Renu is the best medical spa I've been to and now the only place I will go moving forward! Their location is very luxurious and relaxing! The staff is so friendly and knowledgeable, and Lynn and her staff make you feel comfortable with whatever treatment you choose. In the past at other medical spas, I feel like you're just another patient that day. At Renu, you truly feel valued as a client and part of their beautiful family. All their equipment is top of the line, so you are guaranteed the very best results at a great price. I had a few skin issues my dermatologist couldn't help with after multiple visits, but to Lynn and her team, it was an easy fix and my skin has never looked better! They are truly the best at what they do, and I'm so thankful to Lynn and the staff at Renu for my boost in confidence because my skin looks amazing! You only have one body in this lifetime, take comfort in knowing Lynn and her staff will always keep you looking and feeling your best!" "I AM old enough to be a grandmother... I'm just not ready to look the part. Thanks to you, Abby, no one can tell by looking at my face... of my hands! Thank you! Best in the business! Magic happens when you are in Lynn's capable hands!" "Lynn, You give good Pixel! My skin looks awesome after one of your pixels! You make me so comfortable, I feel like royalty when I'm there. You're wonderfully thorough and patient from preparation, 'pain control,' (ice packs during procedure - great!) to after-care ensuring that I'm as comfortable as possible when I leave and well-armed with ointment, cream and instructions to make the process quick and the results outstanding. Thank you Lynn and thank you Renu. You shine above the competition. Your entire staff is courteous, uber professional and always has a smile and a kind word. You had me at "Hello." :)"
"Lynn, I always enjoy coming in and thank you so very much! What a beautiful place to enjoy such great service." "Lynn, thank you for a typically wonderful and thorough Pixel procedure. Thorough preparation, procedure and aftercare! The cooling with dressing and air really minimize the "smarting" that I usually feel for a short time after the procedure. I'm still red but my skin already looks 20 years younger, smoother, tighter and uber-beautiful! See you next time." "Abby, I have temples now! ... and NO lip lines! Juvaderm rocks! Abby, your skill of injecting is incomparable; 2nd to none, period! You are the only injector I've ever seen who has and refers to a face chart... and it makes a difference! Thank you for making it painless as well as achieving truly amazing results, consistently. You have my complete trust and my business for as long as wrinkles and sagging exist; that would be forever! See you again...and again. Thank you Abby!" "Abby, once again you waved your Botox magic wand and I'll "wake up" looking 15 years younger. Thank you!" "Love ya, Lynn! Thanks for being a great friend and the best at what you do! Always, Haley"
"Love you guys. Thanks for the Botox and Blue Jeans! " "Go see Lynn - she is amazing!" "The Staff at Renu are genuine and knowledgeable. After each visit I see improvement in my skin. Lynn really took the time to explain my options and what to expect from each procedure. I love the product lines too!" Pamela J. "Just walking into the Renu clinic provides a sense of calmness and serenity. The staff is extremely professional and caring, and it's clear that the clientele trusts and enjoys the Renu experience! I would highly recommend making an appointment at Renu Laser & Skin Care." Laurie K.
"The biggest measurement we have is how many clients love us. To achieve that, our results must be good and they must be affordable." "No service provider has ever treated me better or put me more at ease than Lynn does and I go to her specifically for that reason." "I have been treated for laser hair removal since I was 14 years old. It is 9 years later and I am still enjoying the new found confidence and worry-free attitude. I am glad there is a service that treats unwanted hair. However, for me it was the customer service and the experience that really drew me in and is one of the reasons why I decided to get other areas treated. It is a great feeling to be treated as if you are the only client. Lynn takes the time to get to know you and your needs and customizes the service to fit your needs. It is a great experience and I have been recommending Renu Laser & Skin Care to all of my friends!" 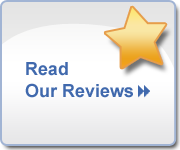 ~ Christine C.
"You and the staff at Renu Laser are excellent. You always great me with a high level of professionalism and at the same time make me feel at home. The ladies at the front office are always kind and complimentary on the results of what I have come in for. You have been excellent to work with. You are very informative and helped a great deal with providing the right path for reducing the wrinkles around my eyes. Many have noticed the change and have inquired about it. When it came to hair regrowth, you researched the technology and then bought it! I am glad to be the first candidate. After 10 treatments I already see a change on the crown of my head where the hair is thickening up! It is amazing. I did not want to go the surgical route but wanted something lasting and something that wouldn't require drugs on a long term basis. I have found it in the UV red and infrared treatments you are providing me. Thanks for everything! I have been telling my friends and hopefully they too will be clients of yours. Thanks for everything." ~ David S.
"I have been a client of Lynn's for seven years, and have found her level of professionalism, knowledge and dedication to her field second to none. She excels at offering customized treatment programs that provide results." ~ Lori C.
"There is only one word to describe Lynn - AWESOME!! I have been going to Lynn for several years. She makes you feel special, listens to your needs and is very knowledgeable and skilled in the application of a variety of services and treatments. Her professional and friendly manner as well as her commitment to each client makes every visit a unique experience. Take great care of yourself by enlisting Lynn's help." ~ Sue C.
"Abby, I have temples now!.... and no lip lines! Juvederm rocks! Abby, your skill of injecting is incomparable; second to none, period. You are the only injector I've ever seen who has, and refers to, a face chart... and it makes a difference. "Lynn and Abby, I know I don't have to tell you how wonderful Votiva is because what I am about to report back is much the same as what you shared with me prior to my treatment yesterday. I guess I just didn't think it was really possible. OMG! Before yesterday, I had the constant urge to go, even after I had. Before yesterday, I had to cross my legs to sneeze, laugh, cough, jump or move quickly so I wouldn't have an accident. Also, ifI waited too long, more bad luck would occur. 50 embarrassing and I am in a professional position. Clearly having two babies and gravity took a toll over time and as a very active golfer now, wearing pads (which presented their own fiber issues and irritation on sensitive skin) had become the mandatory norm. As you also may recall, last week, I visited the Urogynecologist who suggested that I needed more testing and possibly surgery with the insertion of a mesh sling. Online research convinced me that the surgery (which takes folks out of commission for about two weeks) was not anything that I wanted to pursue unless I had exhausted all avenues toward a better, easier outcome. I am just so grateful that Lynn pulled me aside during one of my other appointments and told me to “hold the bus, a new laser therapy was about to arrive at Renu!” This, my bus, is not only on hold, it is parked and excitedly awaiting to see what treatments 2 and 3 bring in the next couple of months. I must admit that the process itself was pain free and Abby did an expert job administering the treatment. She was so professional, attentive to my responses, and we hit it off tremendously. She put me totally at ease and explained every step of the process. No surprises. I appreciate that. It was kind of 'interesting' walking around under the essence of Lidocaine for the first few hours post treatment! I flew back to CA last night though and had no complications or anything more than a bit of a 'full' feeling in my pelvic region which was gone by this morning. P.S As a side note to this review (don't need to include, but figured you would want to know), the additional treatment on the hemorrhoids seems to be working as well. Much less irritation and pain with those today. The swelling seems to be receding. Another point of gratitude. Thank you again. See you June 11th. I hope you post this when you unveil Votiva on your website and that it brings more women to this solution versus surgery. I just wish insurance was smart enough to cover this as an option." ~ Deb S.